Welcome Home! The beautifully updated home is located in a storybook setting. Nearly 3 acres of peace and quiet. You will feel like you are on vacation at this home. The main level has a spacious great room with floor to ceiling windows, a remodeled kitchen with island, an updated 3/4 bathroom and 2 large bedrooms, The lower level has a large ensuite with a 3/4 bath and a walkout door to the patio and hot tub. This room could be used as a master bedroom or a family room. 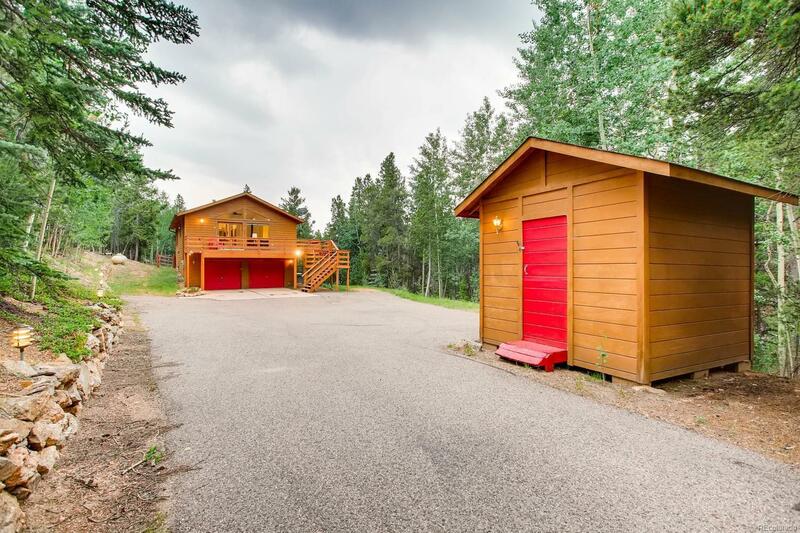 There is a 2 car garage and an additional storage shed on the property. The lot is relatively flat and has a fenced area for pets and a very secure dog run with access to the garage for shelter. Great schools, school bus is close by. This is a lovely home in one of the prettiest settings, you will love living here.